3/24/19 1-3pm, Showings By Appointment Only, please call agent to register. Steps to the white sands of St. Pete Beach - this roomy 1BD/1.5BA condo is located in gated Three Palms Pointe. The condo has been upgraded with beautiful laminate flooring, granite in the kitchen and an updated powder room - perfect for when you have guests. The open floor plan, living/dining combo leads right out to the balcony - great for entertaining friends and family! The large master suite includes a vanity area and spacious walk in closet. Recently painted throughout, you will love the coastal décor as this 2nd floor unit has is being sold FULLY FURNISHED. Laundry is located on every floor and free $$$! Complex renovations include: upgraded seawall and pool area as well as impact resistant sliding glass doors and windows. 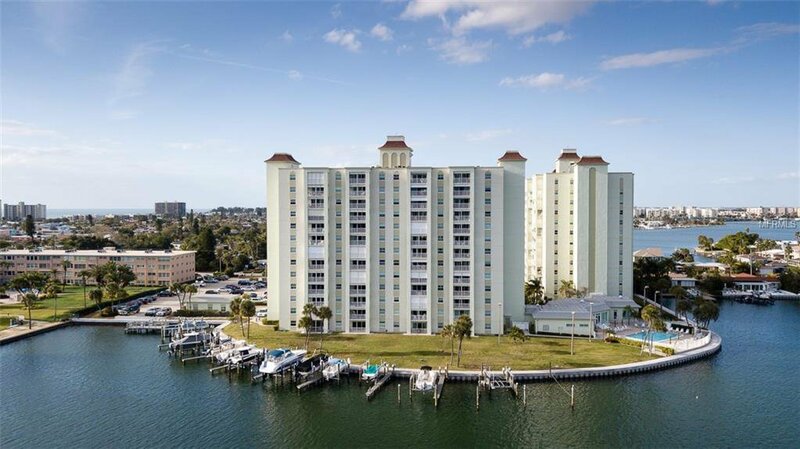 This active complex amenities include: a heated pool, fishing pier, shuffleboard, clubhouse with exercise room, pool tables, TV & WIFI, bike room, kayak storage & ladder for launching as well as boat slips that are subject to availability. Three Palms Pointe is gated with 24 Hour security. Walking distance to the many restaurants, beach bars and Corey Ave shopping. Sorry, No Pets.